I started going for barbershop shaves back in the late 1970’s. When you spoke to the barbers then they’d been taught the old fashioned way – repetition, repetition, repetition, for weeks, even months, until practise made perfect. This seems very odd in this fast paced world where everything needs to be immediately accessable and teaching streamlined to save time and money. But I think the streamlining (or dumbing down!) is short changing students. If there’s an eager barber looking for a shave course and he’s presented with two choices, mine (two intensive days, cost between £300-600, depending on numbers) and another (one short day, around £150-175) it’s human nature that they’ll probably pick the shorter, easier course. But is it value for money? I could offer the shorter courses, and probably make more money! But I recognise that value of that old school approach to teaching – repetition. Particularly with wet shave courses. If you’re a barber and learning a new style or cut, or a masseur learning a new type of massage, then you have pre-existing knowledge and experience of the subject and can easily learn with a demo and short practical. However, with shaving you are dealing with something you have no experience of, and you are also using a potentially dangerous implement! To learn this well takes a bit more time and effort. This is where the repetition becomes important. The more shaves I watch you do the more chance I have to correct poor technique and nip any bad habits in the bud (I can still hear my old tutors voice in my head whenever I let my standards slip!). Also the more shaves you do the greater your confidence becomes. Your first couple of shaves are usually pretty ropey, but by the end of the first day you’re getting competant with the razor, and by the end of day two your confidence is soaring. My shave courses are held over two intensive days, and you will get to perform between eight and ten shaves. I limit my student numbers to a maximum of four, usually it’s two or three. This allows me to keep an eye on everyone and correct faults and bad habits as they present themselves. I believe that a great shave is 20% competence and 80% confidence. The more guided shaves you do on a shave course, the greater your confidence. On a shorter shave course, where you do one or two shaves, you might develop some competence with the razor, but your confidence is going to be a very fragile thing. It will only take a coupe of poor practise shaves to knock it. I’m contacted by barbers all the time who’ve done a shorter course but don’t feel they’ve learned enough to launch the service in their salons, and need me to come in and take them back to basics. Equally worrying are those who have developed a false sense of confidence in their abilities and launch a service offering very poor shaves in their salons. The last two shaves I’ve had, both in very well respected barbers, were awful. The problem with this is that the clients won’t think ‘Wow, he gave me a crap shave’ but ‘Wow, that wet shaving is crap, I won’t bother with that again’, so we all lose out. I hope this article doesn’t come across as too negative. It’s not my intention to just slag of short courses. But I am very passionate about my profession and want students to get taught properly. I’m not saying that my shave course is the only good one (although, with no false modesty, I do consider it to be one of the best! ), there are other great courses out there. 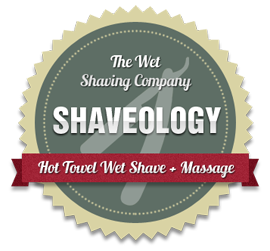 But I am asking that if you’re thinking of doing a shave course you weigh up all the options and consider whether a short, cheap course is actually value for money.